We understand that you are not living your best life possible unless your mind and body are healthy. That’s why we take a holistic patient centered approach to your health and wellness. 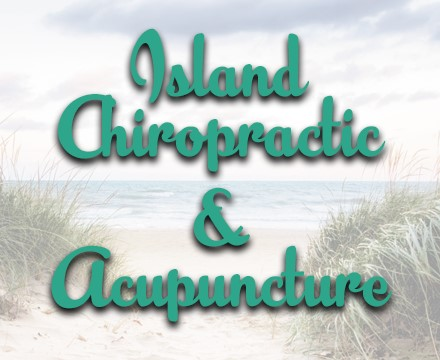 Our goal is to provide chiropractic and acupuncture care that will help you restore your health to your best possible you. We work with you to design a treatment plan that works with you at your pace to your desired health goals. The fundamental healing principles of a natural holistic care are used to guide the way. Meet Dr. Melissa Ferrer Hall, DC, who is a Chiropractic graduate of Life University of Chiropractic in Marietta, GA. Dr. Hall is originally from Wilmington, NC, but has lived all over the United States. Recently Dr. Hall has returned HOME to Wilmington. Prior to becoming a Chiropractor she was a social worker before making the life-changing career move of becoming a Chiropractor. Dr. Hall is trained in several Chiropractic techniques, but primarily uses Thompson Drop, Toggle, Activator, and Extremity adjusting. Dr. Hall is also able to serve Pregnant woman with pre-natal care as her table drops away for rounded bellies. We think you will find her to be both gentle and effective in her treatment of you. Dr. Hall is a lifetime learner and has continued to develop her skills by learning Acupuncture Meridian Therapy. By combining Chiropractic and Acupuncture Dr. Hall is able to better address a variety of health issues. Dr. Hall is an avid animal lover, is a vegan and has 4 dogs – all rescues. We care about your well being and will provide you with guidance, knowledge, and tools needed to be healthy. We are here to help you achieve optimal wellness. In the office you may meet Pam who is Dr. Hall’s mom. Pam is the one that keeps the office running smoothly. If you have any questions or need any special arrangements, she is the woman to go to.